PIERRE, S.D. 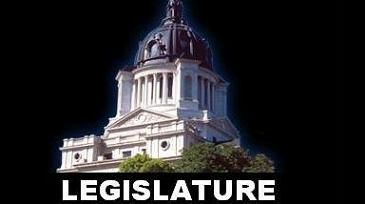 - South Dakota lawmakers are set to debate asking voters to double their current two-year terms in office. Senators and representatives would be able to serve two consecutive four-year terms under the measure introduced Wednesday. House Majority Leader Lee Qualm, a co-sponsor, says the change would strengthen the Legislature. Democratic leaders say they'll consider the measure. But Republican Sen. Jim Bolin says he likely favors keeping the current system. Bolin says with a citizen Legislature, it's good that voters can "renew the contract or put somebody else in place" every two years. The proposed constitutional amendment would maintain current term limits that restrict lawmakers to serving eight consecutive years in a chamber. The measure would go on the 2020 ballot; if approved, the changes would take effect in January 2023.